Hazel Ann (Miller) Snyder, age 93, of Grand Haven, passed away Saturday, March 9, at Medilodge at the Shore. Hazel was born July 31, 1925 to John & Anna (Detlef) Miller. She married Warren Snyder on November 29, 1947 and they enjoyed almost 42 wonderful years together until his passing in 1989. Hazel retired from State Farm Insurance. She was a ladies auxiliary past president of VFW post 2326. 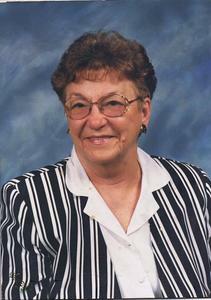 Hazel was a caring person who loved her family and friends to the fullest. She enjoyed playing bingo and cards and she loved any holiday or activity where she could get dressed up and be a part of the festivities. Hazel was preceded in death by her parents, her husband Warren, son Tom, grandson Christopher Davis, siblings John (Freida) Miller, George (Effie) Miller, Henry (Myrt) Miller, Fred (Ollie) Miller, Ruth (Ed) Rosema. Brothers-in-law, Roger Snyder, Bernard Kraii, George Kent, and Tom Blaney. She will be lovingly remembered by her sons, Warren Jr. (Linda), Dennis (Vicki), her daughter Diane (Todd) Fortenbacher, sisters Margaret Kraii, Lois Kent, Agnes Blaney, sister-in-law Barbara Snyder, grandchildren Aaron (Michelle) Campbell, Dan (Chris) Davis, Jeff Snyder, Joshua (Brooke) Snyder, Abi (Andy) Kerner, Zach and Jamie Fortenbacher , 12 great-grandchildren, & 10 great-great grandchildren. The memorial service will be 11 am on Saturday, March 23, 2019, at Nortonville Gospel Chapel, 14528 Leonard Rd, Spring Lake. Pastor Dennis Snyder and Pastor Joe O’Neil Officiating. Visitation with the family will be from 10-11 am prior to the service. Memorials may be made to Harbor Hospice. Private interment.